Whiting Turntables are available in different sizes based upon the application. 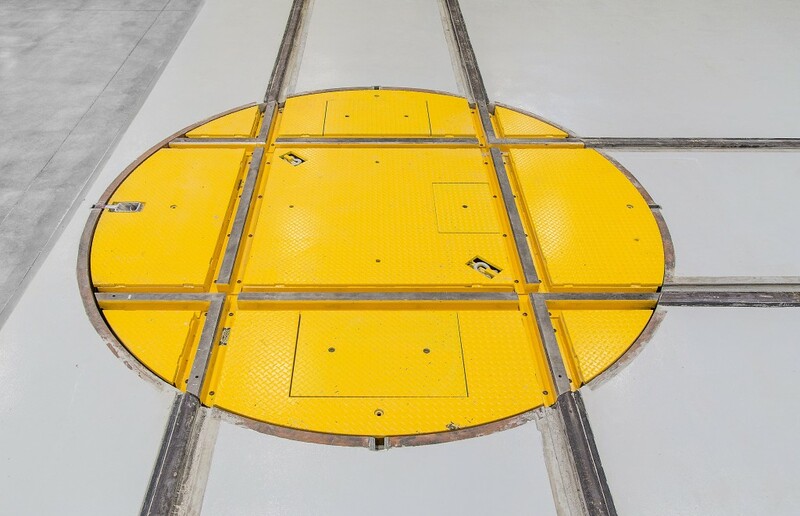 Beyond rotating a car from one track to another, large diameter car turntables can assist in equalising wheel wear due to differing track system geometries. In this application, the turntable can rotate the entire car so that the wheel wear becomes more even. 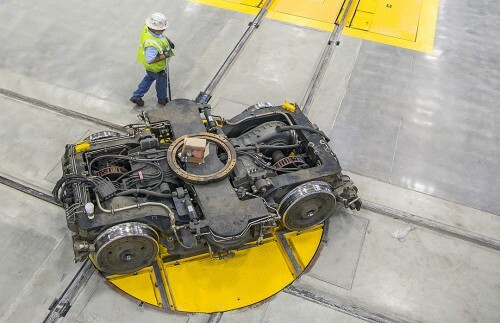 Single truck turntables are able to rotate the truck in 90 degree increments making it critical for moving trucks between the car service track and truck repair hoists in modern maintenance shops. These turntables can be either manual manual or motorised in their rotation. Turntables operating in these applications utilise a rotek-type bearing design. 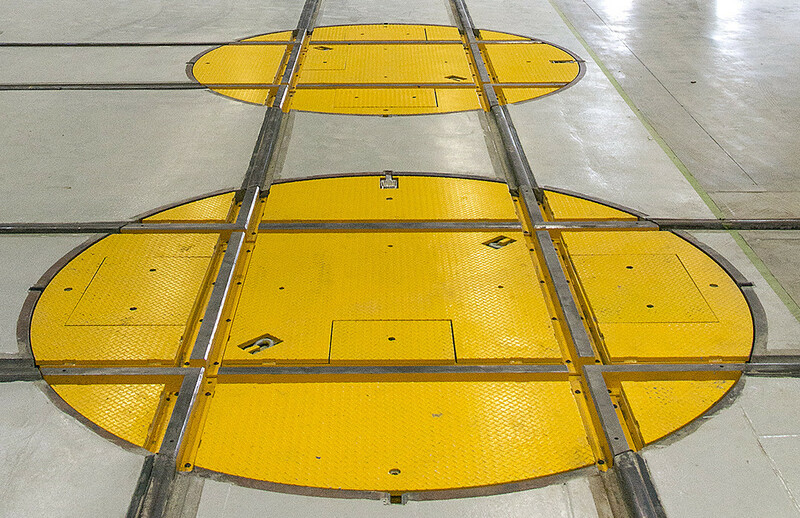 Recently designed railcar maintenance shops utilise a truck turntable on each car hoist service track. This arrangement allows the selective change out and use of any truck, regardless of its position within the shop. Whiting turntables are extremely rugged, well balanced and are suitable for both freight and metro service.